I missed out listing The Double by Jose Soramago in 16/17! The first book of 18/19 is Pensees Blaise Pascal. 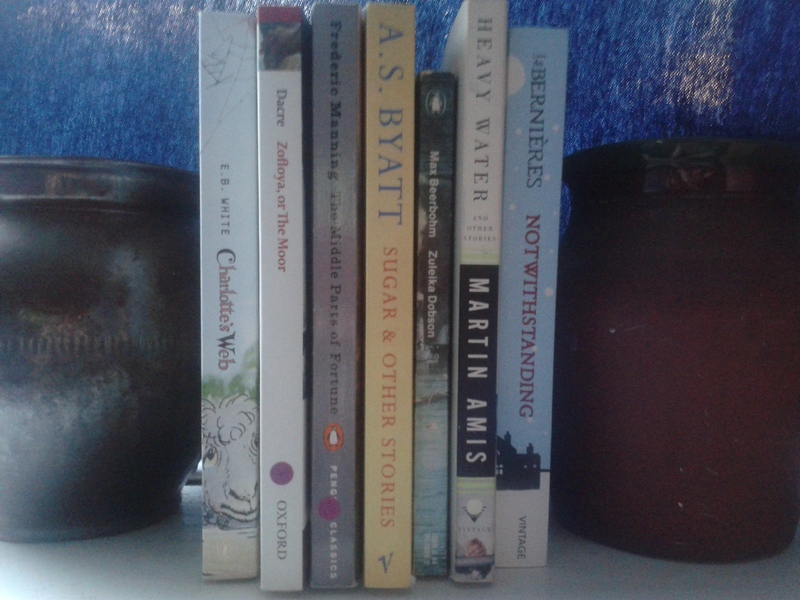 I read on someone’s blog that you should write down the books you read in order to see the gaps/bias in your reading. I’ve kept a list of books from 1993, but have never used it for that. 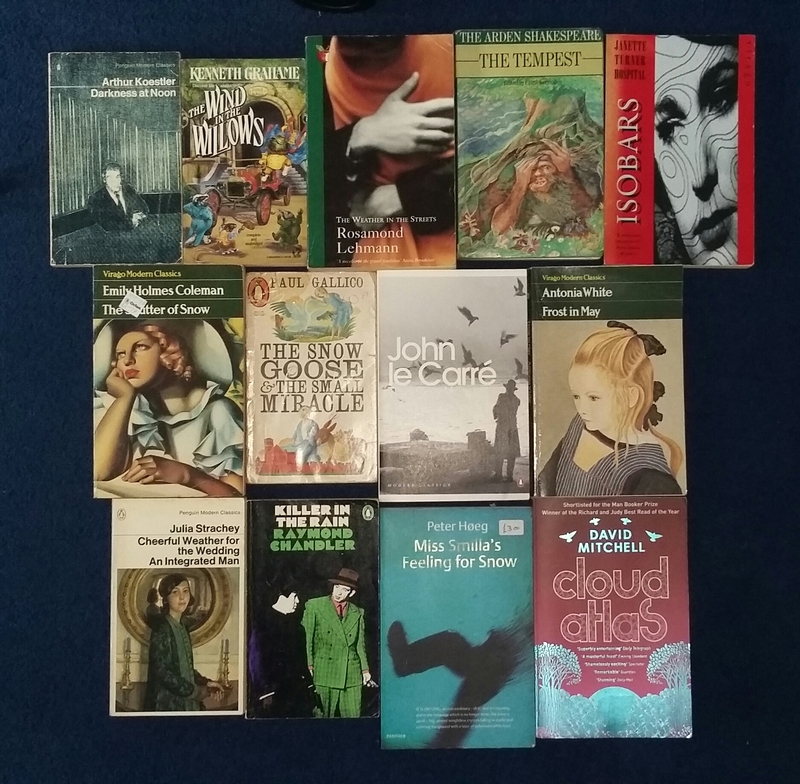 My reading is directed by what people donate to charity shops, what’s on my sister’s shelves (marked S below) and recommendations from friends (marked F below). Because I am inordinately lazy, please let me know what glaring omissions I’m making in my reading and I’ll try and pull some in in 2017/18. I knew from the moment I started reading it, it was going to be Wolf Hall by Hilary Mantell, but then it wasn’t, it was A Fine Balance by Rohinton Mistry. I should be….., but instead I’m reading…. Not entirely sure what I ‘should’ be doing anymore, but here’s some books. ‘Thinking Machine’ Detective Stories by Jacques Futrelle. 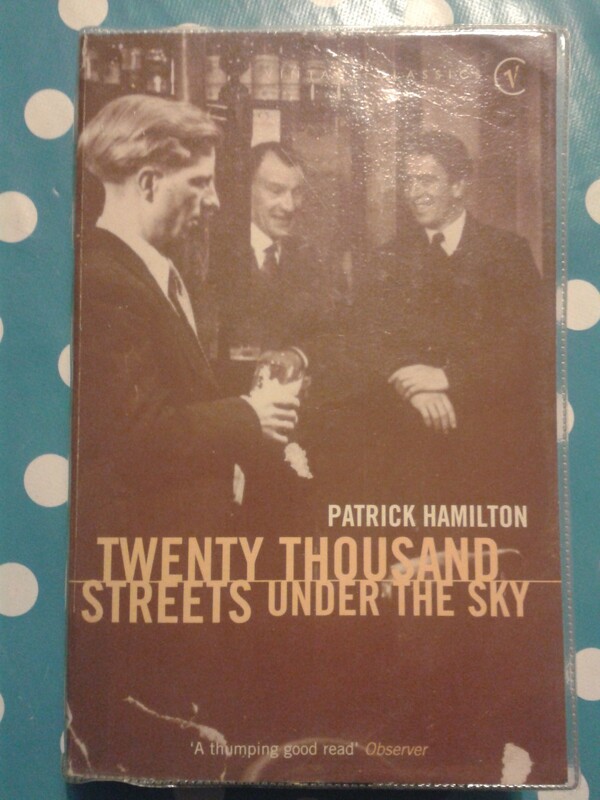 Three bargains from the 50p shelves at Scarthin Books. I’ve read ‘the problem of Cell 13’ story by Futrelle and am savouring the knowledge that I have two unread Chandlers on my shelves waiting to be read. 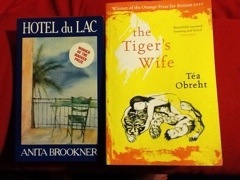 I finished Hotel Luc by Anita Brookner this weekend, a book I’d forgotten I had bought until I had to empty and then refill all the bookshelves after decorating, and have just started The Tiger’s Wife by Tea Obreht on recommendation (often a gamble). I’ve also tried to get back to going to the library regularly, primarily to keep pace with children’s avid reading, so Lemony Snickett’s have been through the house, several Horrible Histories and a great book on Heath Robinson, perfect for the child who fills your recycling bin with masses of paper of inventions. 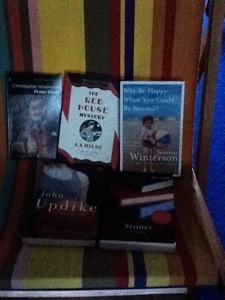 Have also had out books on Lucian Freud, Edward Hopper and Turner. Respect to the Butcher’s boy!